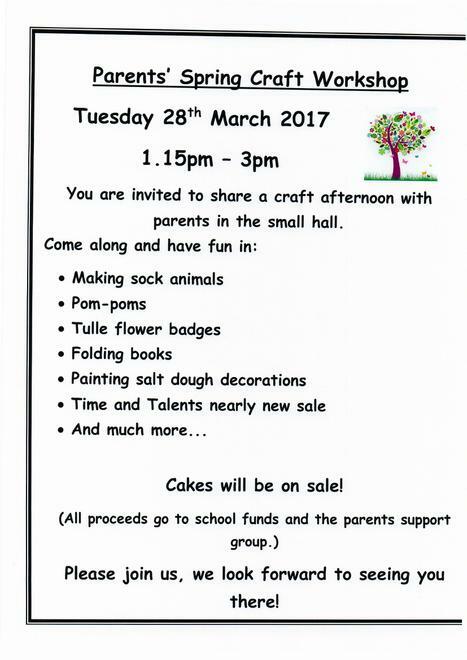 You are invited to our Parent's Spring Craft Workshop taking place on Tuesday 28th March 2017. Below is a flyer with all the details. We hope to see you there.